I’ve created a record for children of all ages, with or without developmental disabilities, which focuses on positive social skill building. 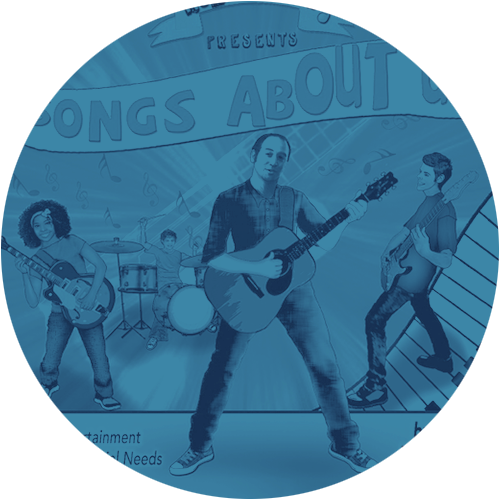 It’s called Songs About Us and is available NOW at www.MuzicSchool.com! I play/teach most styles of guitar, including, but not limited to: rock, blues, ska, reggae, jazz, and folk. Also, I play/teach different types of actual guitars, including: electric, acoustic, and bass. Read more. I’ve got plenty of experience in the studio, working with a full band as well as on solo projects. 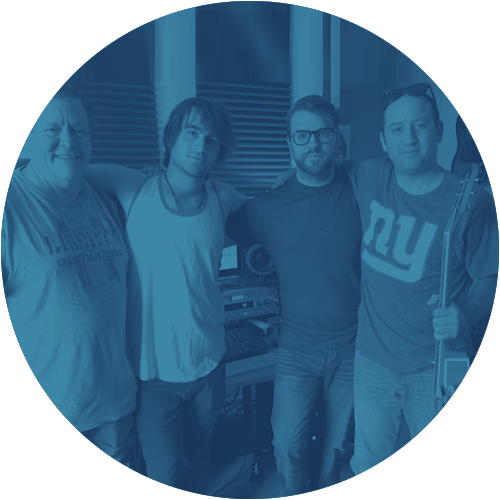 I’ve also had the pleasure of working with the legendary Mark Mazzetti when we cut Songs About Us. Hire me. I’ve been playing music since I was 4 years old, singing and playing piano at home. In school, I studied cello, trombone, baritone horn, and then privately, electric bass, followed swiftly by my true love – the electric guitar. Years later, I formed a rock & roll comedy trio called nNeptep, who performed around New York City until we moved to Los Angeles. I then began working with autistic children at The Help Group. Initially hired as a teaching assistant, I quickly brought music into my classroom and sometimes the halls, too! 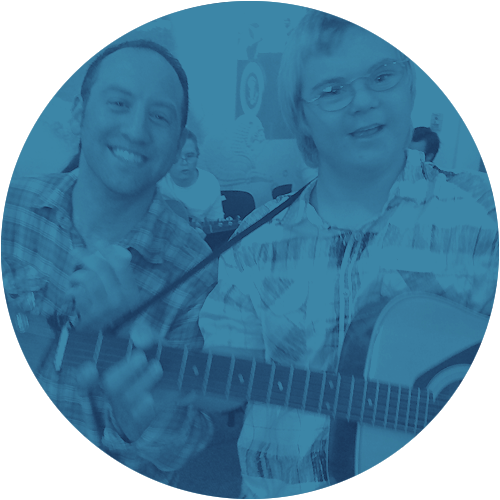 The kids loved it, and so did I. I now work privately with clients, both young and old, with or without developmental disabilities, doing a combination of music and life skills, in addition to my own songwriting and recording. I wear several hats, but they’re all fun! 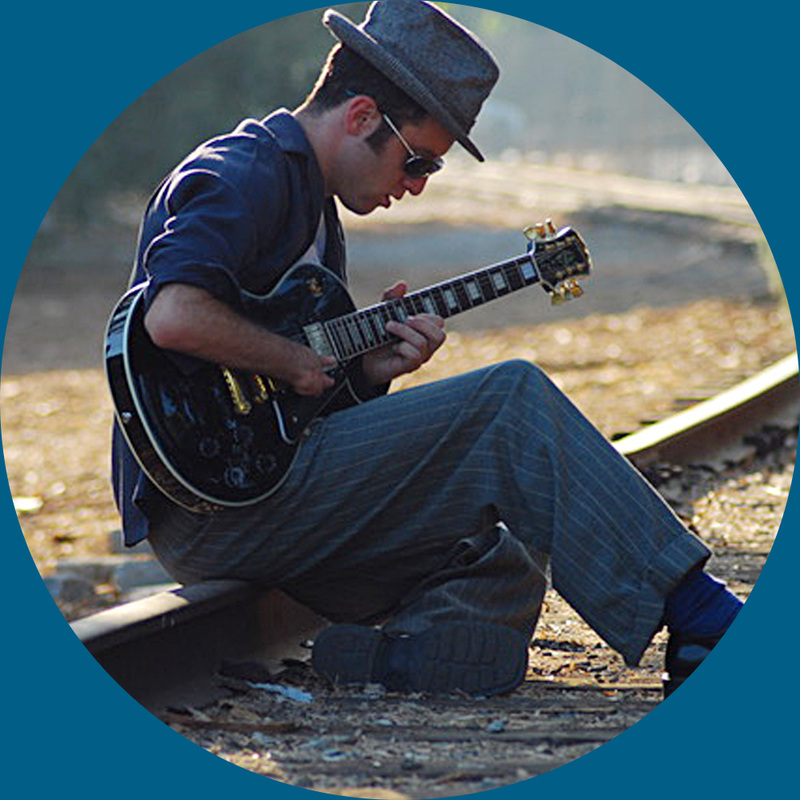 Students of any age or experience level can expect to learn about guitar playing technique, styles, music theory, songwriting, and/or singing to accompany their playing. They can learn electric, acoustic, or bass guitar. Lessons can be any length, any pace, and are generally 30, 45, or 60 minutes. I service most of the greater Los Angeles area, and can either travel to the student, or meet at my studio. Rates are based on a sliding scale, continent upon distance, length of lesson, etc. I’m available as a songwriter/guitarist-for-hire, any genre, any style! 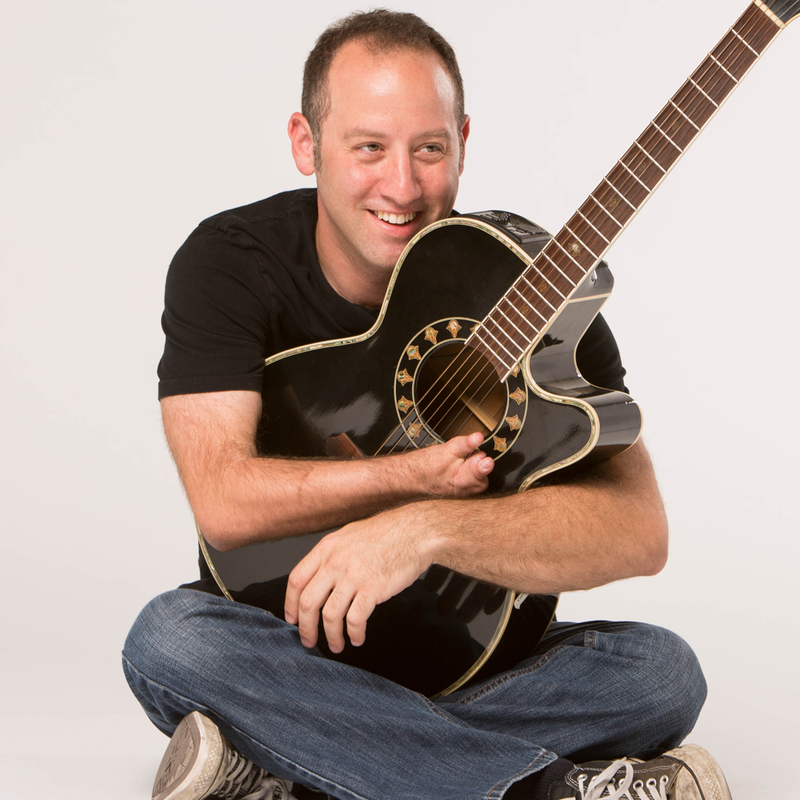 I’ve been involved in several projects that were so much fun to be a part of, like writing/recording a song for a kindergarten class about Earth Day, and recording a cover of a John Lennon ballad for a wedding! Site Design by Justin B Miller. Copyright Kerry Fenster 2019. All Rights Reserved.